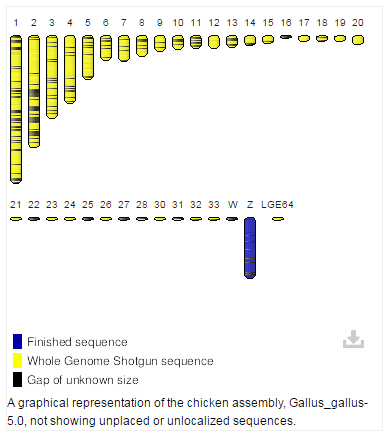 Upon the release of Gallus_gallus-5.0 (GCA_000002315.3), the GRC assumed responsibility for the continued curation of the chicken reference genome assembly from the International Chicken Genome Consortium. The assembly represents the Red Jungle Fowl strain, inbred line UCD001. 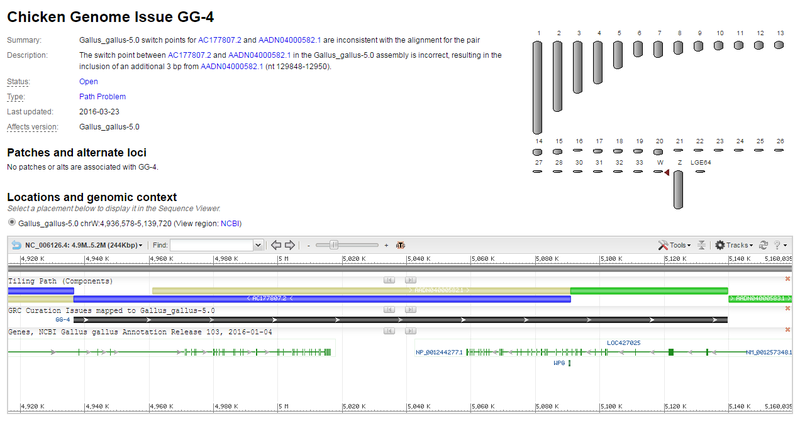 All sequences in the assembly are derived from a single individual from this line, female "RJF #256". The assembly is a hybrid comprised primarily of WGS contigs, into which genomic clones have been integrated. Planned curation efforts are focused on selecting genomic clones (BACs) for sequencing and assembly, specifically from the CHORI-261 library, to fill known gaps and resolve assembly errors. Information about the current assembly and curation efforts is now available on the GRC website. 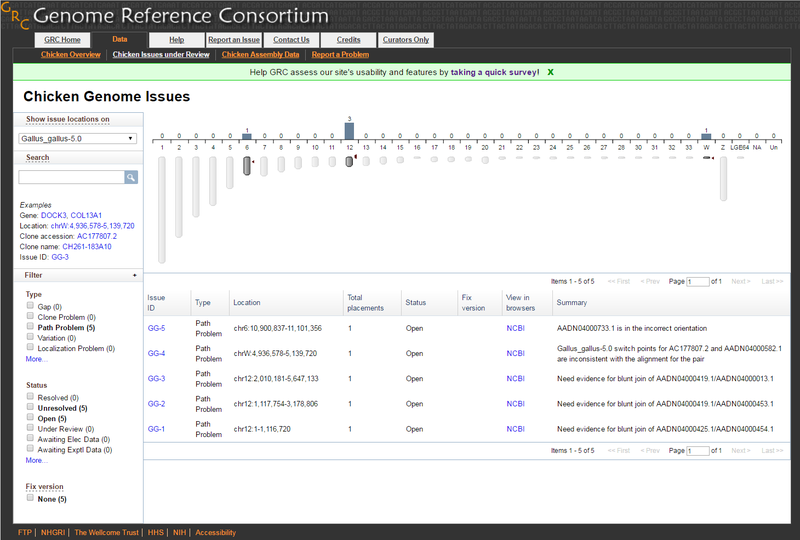 An interactive interface (Figure 2) provides access to genome regions currently under review, while a series of issue pages provide details and mapping information for each of these regions, as well as a graphical view (Figure 3). For more information on these pages, see our previous blog posts on issue pages and the issue overview page. Figure 2: Overview of issues reported on the chicken reference genome assembly. The GRC welcomes feedback on the current assembly from members of the chicken research community. Users can either Report an Issue or Contact Us for more information about the assembly. A survey regarding the usability of the GRC website is also ongoing.